Diane has been working in the dental technology industry for over 20 years, and has worked as a Dental Prosthetist for the last 23 years. After leaving Brisbane for Sydney as a child, she relocated her family to Brisbane in 2004, and has worked as a dental prosthetist in Indooroopilly, before opening Westside Dentistry (then Westside Denture Centre) in February 2012. Diane regularly attends courses nationwide, continuing to up-day her skills and knowledge. She is also a member of the ADPA. 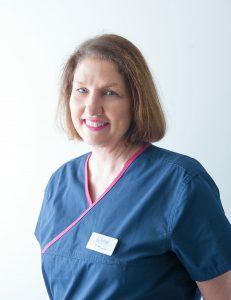 After many years of experience constructing high quality full and partial dentures for the dental industry, Diane completed further studies to become a qualified dental prosthetist enabling her to operate directly with the public. Diane is confident with all aspects of denture formation and care, and will ensure that you walk away happy with the result. Patient care is her number one priority. Outside of work, Diane enjoys spending time with her four children, cooking, bike riding, walking and keeping fit.